I’m mascara-less [ eeeek! ] on the right & wearing the Retro Glam on the left. I love the hourglass shape of the wand & the volume this mascara gives. It also didn’t clump which is always a plus! It is lightweight, buildable & really lengthened my lashes. It clams to give a bold, wide-eyed false lash look and it absolutely does. I usually only wear waterproof because I’m nervous for that “racoon” look at the end of the day but this mascara did not do that. Have you tried this mascara? What are your thoughts on it? I am currently liked with a company that sells it. Would you like me to email you with more information and possible ways we can get you a discount to try it out? (: I used to use They’re real as well! Beautiful! You have gorgeous natural lashes! 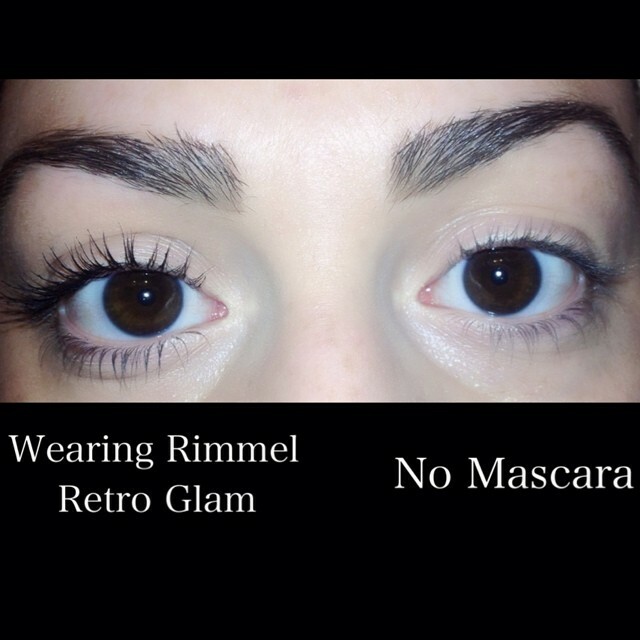 Looks pretty natural but makes a noticeable difference! PS- good brows too! Wow! Your lashes look phenomenal!